Many parties, particularly large companies operating in multiple states, include provisions in their standard contract forms specifying that the law of a particular state governs the transaction. The choice of applicable law is generally law with which the company is familiar, such as the law of the state where its headquarters is located, or law that the company believes is favorable to it. By having all of its contracts governed by the same law, the company avoids having to know the law of multiple states and strives to achieve consistent and predictable outcomes in the event of disputes. In a Panico v. Portfolio Recovery Associates, LLP decided by the United States Court of Appeals for the Third Circuit on January 2, 2018, this strategy backfired for a debt collector trying to collect a debt originally owed to MBNA America Bank. New Jersey resident, Andrew Panico, obtained a credit card from MBNA. MBNA’s credit card agreements provided that the credit relationship between MBNA and Panico was governed by Delaware law. In June of 2010, Panico defaulted in his obligations to MBNA. MBNA assigned its claim against Panico to Portfolio Recovery Associates. After attempting to collect the debt without success, Portfolio Recovery sued Panico in New Jersey Superior Court. The statute of limitations on actions to collect debts in New Jersey is six years. However, Panico moved to dismiss the case on the grounds that it was barred by Delaware’s three year statute of limitations since his agreement with MBNA specified that it was governed by Delaware law. Rather than litigate the issue, Portfolio Recovery agreed to dismiss its case against Panico. Unfortunately, that did not end Portfolio Recovery’s problems with Panico. 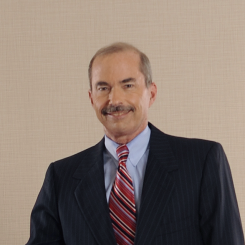 Panico filed a class action against Portfolio Recovery, alleging that Portfolio Recovery had violated the federal Fair Debt Collection Practices Act and the New Jersey Consumer Fraud Act by attempting to collect debts that were barred by the statute of limitations from him and other similarly situated debtors. Porfolio Recovery moved for summary judgment on the grounds that its claim against Panico was not time-barred because of a Delaware statute that provides that if a defendant is out of state when a cause of action against him accrues, the statute of limitations is tolled until he returns to Delaware. Since Panico was not a Delaware resident, Portfolio Recovery argued that the three year Delaware statute of limitations never started running and that its suit against him was timely. The District Court agreed with Portfolio Recovery and dismissed Panico’s suit. Panico then appealed to the Third Circuit. There is no way to tell from the Third Circuit’s decision whether MBNA chose Delaware law to govern its credit card agreements because it thought that it would get the benefit of the Delaware tolling statute in actions against non-residents of Delaware or whether Portfolio Recovery seized on the tolling statute as a possible way of escaping liability in a class action suit. There is also no way to tell whether Portfolio Recovery overlooked the Delaware choice of law provision and assumed that the New Jersey six year statute of limitations applied or whether it knew when it sued Panico that the three year Delaware statute of limitations had run and decided to sue anyway. However, two things are clear from the Third Circuit’s decision. First, a party preparing a contract should not include a choice of law provision without understanding what the effect of that choice will be if the contract needs to be enforced later. Second, before filing suit to enforce a contract, a party should make sure that the suit is justified under the law chosen. Had Portfolio Recovery realized before it sued Panico that the Delaware statute of limitations had run and not sued him, it could have avoided both the cost of the suit that it dismissed and the liability that it now faces in Panico’s class action suit.